San Andreas Multiplayer (SA:MP) is a modification for the PC version of Grand Theft Auto: San Andreas which turns it into a multiplayer game. 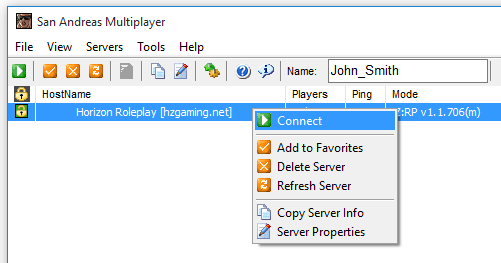 You can play over the Internet with up to 1000 other people. You need the original Grand Theft Auto: San Andreas PC game to play San Andreas Multiplayer. In order to play SA-MP you need the PC version of GTA: San Andreas. GTA: San Andreas needs to already be installed on your PC in order to install SA-MP. If you do not already own the PC version of GTA: San Andreas then you can also purchase GTA: San Andreas at your local game store or online. Download the SA-MP client installer (version 0.3.7) by clicking here. Next run the installer and install the program in to your GTA San Andreas folder. Please note: SA-MP requires a v1.0 copy of the game. If you have v2.0 then you can downgrade it via a patch. You can download the patch by clicking here. If you are not sure which version of the game you have then you can just run the patch to be sure and it will tell you whether it's already version 1.0 or not. 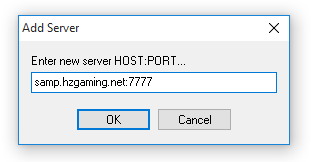 The game will start up and you will be connected to our server where you can to register an account. You will be guided through the steps in-game and an optional tutorial is available to learn more about the gameplay. If you are having trouble with the installation you can get more help on our forums by clicking here and we will help you with your problem.